Following back-to-back league wins for the first time this season, Reading welcomed Everton to Adams Park, with the visitors sitting at the foot of the WSL ahead of the game, still looking for their first league victory this season. Unsurprisingly, the Royals started the brighter of the two teams; Brooke Chaplen's shot from distance stung the palms of goalkeeper Kirshe Levell 6 minutes in. Despite the early Reading pressure, it was the visitors who broke the deadlock 13 minutes in. A threaded pass from Inessa Kaagman found Hannah Cain who, having raced clear of the back four, finished well past Grace Moloney. Kelly Chambers' side almost responded instantly. Fara Williams showed great technique as she clipped a shot over Levell, but it came back off the crossbar. Everton counter-attacked from that and once again Cain was released and found herself one-on-one with Moloney. This time, the Irish shot-stopper got down well to deny the forward, with a save to her left. The Royals drew level on 19 minutes through Chaplen. Remi Allen teed up the forward who delightfully dinked the ball over Levell and into the back of the Everton net. Everton had Levell to thank for keeping the score at one-a-piece. On 33 minutes, Williams struck a free-kick from well over 35 yards which was unconvincingly turned behind for a corner by the Everton goalkeeper. Jade Moore tried her luck from a similar distance but saw her effort tipped over the bar by Levell. 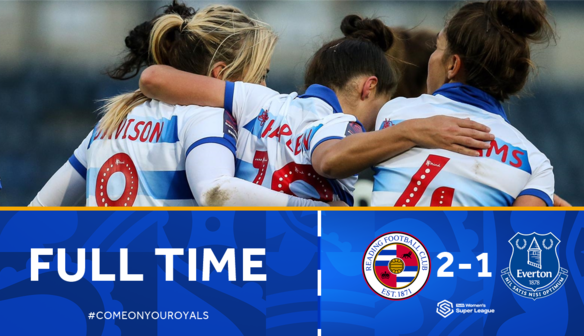 The Royals almost took the lead within seconds of the second half when Gemma Davison clipped a ball through to Chaplen. She tried taking the ball round Levell, who got a vital hand on it before Everton managed to clear. At the other end, Kaagman struck a free-kick which wasn't far over the crossbar. 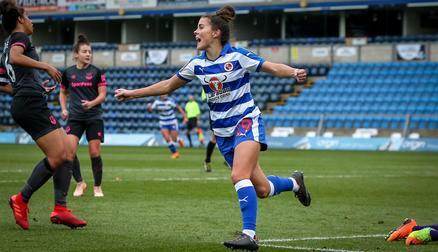 That chance came just before she did put the ball in the net, but from an offside position ten minutes into the second half, after the Royals failed to clear their lines. With 20 minutes to go, Moloney needed to be alert to block Chloe Kelly's shot at her near post, after the winger had skipped away from Natasha Harding out wide. 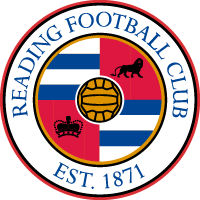 It had been a frustrating second half for Reading, unable to create many chances. That was until Davison went on a driving run through the middle before disguising a pass to Chaplen, who finished first-time past Levell with 13 minutes remaining. It was inevitably going to be a nervy finish for Reading. There was a minor penalty shout as Williams was pulled to ground at one end. At the other, a cross from the right caused havoc and Kirsty Pearce showed heroics to throw herself in the way of a shot from close range, preserving the three points in the process. After the game, manager Kelly Chambers admitted that "The hardest thing for us is that we dominated the first half. To go 1-0 down was definitely against the run of play. Looking back at the chances we had we should have been three or four-one up at the break." "It's important that even though we didn't have the performance in the second half, we still managed to grind out a result. What we've found now is a bit of consistency with what we want to do, and how we want to play." Having scored a brace, Brooke Chaplen acknowledged that "It was really important that we picked up three points today. We stuck to our task and even though we went behind we delivered what was asked of us." "The goals are a team effort; it's what we work on, the movement to get into those positions. The quality from the girls for both goals, and Gem especially for the second one, was brilliant."